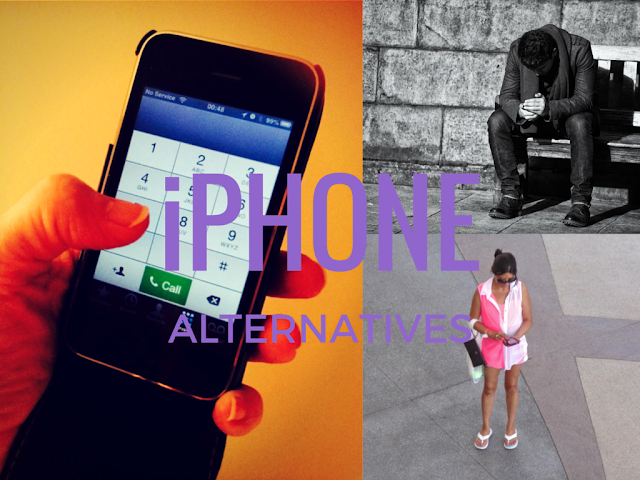 Looking for alternatives to iPhone? 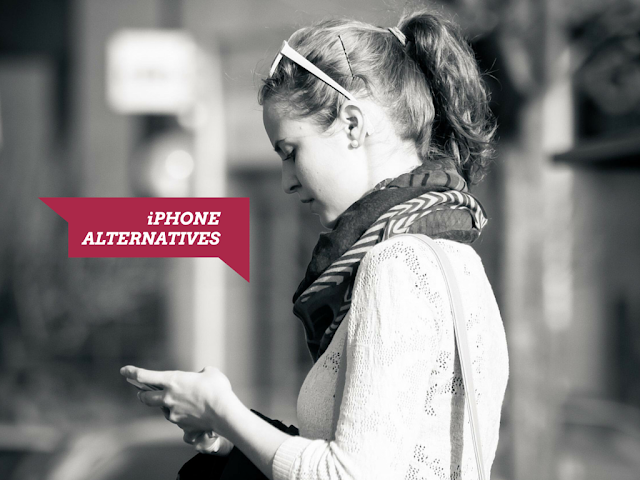 We have shortlisted some really nice and economical iphone alternatives for all smartphone users. The iPhone 6 is one of the finest devices in the smart phone market, and has few competitors. However, there are several other smart phones that are not as expensive, and provide great features, as well. With Android operating system on this phone we can expect great feature and stability. This phablet has 4GB RAM and LTE-enabled Intel Atom Z3560 processor with four cores that makes it an awesome alternative to iPhone 6 and iPhone 6 plus. Samsung Galaxy S6 with 16 MP camera and 1.5 GHz quad core processor is one of the closest competitor to iPhone 6 in terms of feature and quality. We have a in depth comparison of the two below. The smartphone industry is literally ruled by Apple and Samsung’s phones with iPhone6 and Galaxy 6 creating ripples in the market and getting a huge demand even before their respective launches. Although quite similar in terms of features, design and pricing there are some differences you should watch out for that may help you pick between the two models. Samsung Galaxy 6 lets you charge your device without a wire which is not just hassle free but much faster than the conventional charging by a charger, like it is with iPhone. Wireless charging using separate charger available in stores and also promises quick charging. Samsung Galaxy S6 comes with a heart-rate monitor: The LED flash of S6 doubles as heart-rate monitors which is capable of measuring your saturation of blood oxygen. You can check the heart rate at resting state or see how hard you end up pushing while exercising. Make full use of Amazon India coupons for getting it at a good discount. The results are not that accurate but it is good to have some idea. You need to install a 3rd party app if you need the same feature in the iPhone. The S6 has the advantage of a larger and sharper screen with a better resolution than the iPhone 6. The Gear VR headsets can pair with the S6 to create an engaging game-playing and video-watching experience. If you have any other device by Apple you can easily share pictures, videos, photos, music etc Using Handoff, calls can be answered from Mac or iPhone. Most apps finally make way to Android, but few do not. iPhone is the answer if you want to have latest apps which are unique only to Apple devices. Get one using latest Snapdeal coupons. iPhone is best bet if you want phone to have a huge variety of compatible speakers, headphones and more accessories. It might appear that Galaxy S6 is a better choice than iPhone but we should remember that iPhone will surely soon come up with added features and improved hardware. Get the best offers and deals on both mobiles at Coupondekho.co.in. As both phones offer the premium designs, modern features and good performance, the choice will naturally depend on the OS. Android Lollipop provides Galaxy S6 more flexible and can be customized compared to iOS 8. With android, you can change the layout of home screen, pick own default apps and fully overhaul software design with launcher. iOS, offers a simple, clean design which is very user-friendly. The OS is regularly updated and it’s as good as having a new phone. Keeping safety issues in mind Samsung Galaxy S6 is not as secure as the iPhone is but with 3rd party security apps the security is good. This recently introduced phone seems to be best iphone alternative in our opinion. Many smartphone users have taken it as iphone 6 alternative. It Offers great features with a 2.5 GHz Quad-core processor, and a Qualcomm Snapdragon 801 Chipset, with 13 MP rear and 5 MP front camera’s. The device offers many features you won’t find in any other phone, however, you need to make sure that your SIM card fits in the phone before you make a purchase. This is probably the cheapest iphone alternative available in market with a good quality of phone. With a 4.0” display (High Resolution), dual SIM support, and expandable memory up to 32 GB the BLU Advance 4.0 is a great phone that runs on the 4.2 Android Jelly Bean operating system. It’s available in a fully unlocked version that can be easily purchased and used outside of a contract. The phone’s compatibility extends to all GSM Networks. However, the unlocked phone will not work with CDMA carriers like Virgin, Verizon, etc. It’s a phone with great features, beautiful design, and almost all functions that you could expect from a smart phone, yet, it will cost’s less than $70. It’s a good alternative to a bulky, and ultra-expensive iPhone. Samsung smart phones provide a simple user interface, and a sturdy build. Performance issues are minimal, and offer great features at an affordable price. The Samsung Galaxy S Duos S7582 has a 4.0” screen with a display of 480 × 800 pixels. The phone weighs about 118 g, has internal memory of 4 GB and an external expandable memory provided by a micro SD slot that can support a micro SD card of up to 64 GB. Has a 5 MP camera (primary) and a secondary VGA camera. 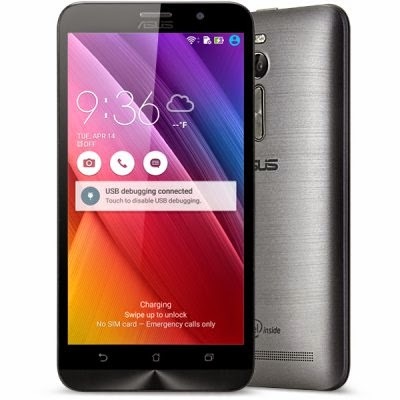 All features come at an affordable price and this phone is definitely a good alternative. HTC Droid is an elegantly designed CDMA phone with a capacitive 4.0” screen, 8 MP camera (autofocus and LED flash), 1.3 MP secondary camera on the front, 8 GB phone memory and an expandable memory of up to 32 GB by using a micro SD card. The screen is tough and scratch resistant with Gorilla Glass, and the phone has a MSM896 Qualcomm Snapdragon Chipset and a 1.2 GHz Dual-core Krait Processor. The Optimus offers a 4.3” touch screen, dual SIM support, expandable memory 32 GB, Primary camera 8 MP and a VGA secondary camera (Front facing). It runs on the Android operating system v4.1.2, Jellybean, and the unlocked version is compatible with all GSM carriers. Its sleek design, user friendly UI and flawless performance make it a great alternative option. Beautifully designed with a 4.0” High Definition display, the phone offers the highest quality of brightness and resolution that surpasses any other phone in the current smart phone market. Its 8 MP primary camera is great for taking pictures and capturing videos. Flawless performance, and high quality features at an affordable price make it an interesting choice that won’t disappoint you in any way. Supports all GSM carriers. The Moto G offers a 720 p HD display, a 4.5” screen and a 1.2 GHz Quad-core Processor. With a battery life of up to 24 hours, Android 4.3 OS (upgrade guaranteed), 8 GB internal memory, and a 5MP rear and 1.3 MP front camera, the Moto G is a great phone and one of the best phones that Motorola has ever designed. Its brilliant and sharp display makes it a class apart from all other phones, and all together the phone is a great product available at an affordable price. Scratch resistant Gorilla glass 3, Multi touch screen, 4.5” display, Window 8.1, 1.2 GHz Processor, and a Qualcomm Snapdragon 4 chipset and a 5 MP camera make the phone a complete package. It has an expandable memory of up to 128GB, 8 GB internal memory, and is compatible with all GSM carriers. Lumia is fast out pacing competition and gaining steadily in market share. One of the best alternatives to an iPhone. Browse seamlessly with 4G technology, a great device for watching videos, playing online games, and taking pictures. Has a rear 5 MP camera with a front facing VGA, 4.5” display screen (High Definition), and a Snapdragon Qualcomm 410 processor. Its water resistance and high quality Gorilla glass covering make it durable and sturdy. Loaded with brilliant specs, the phone is a great alternative for an iPhone. So which one is your favorite smartphone? Share with us in comments.